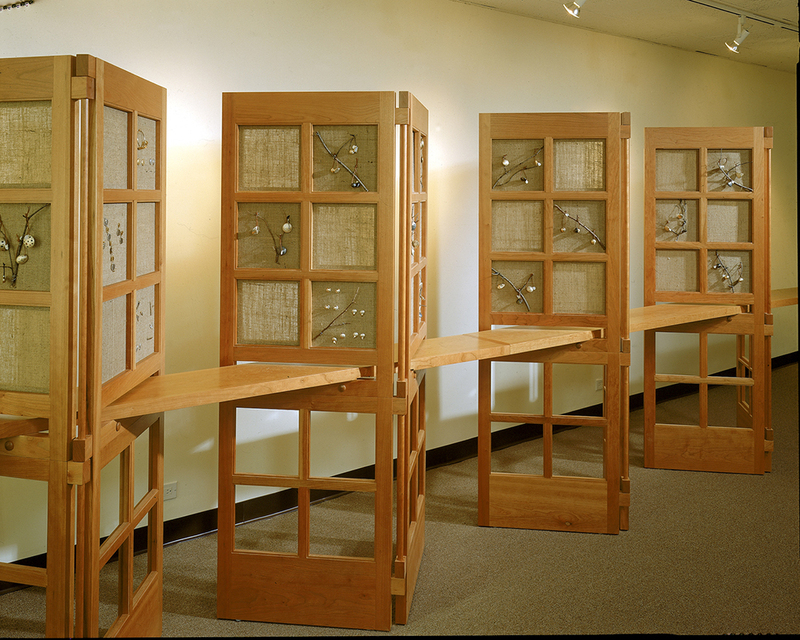 This display system was designed for the Manhattan showroom of a jewelry designer. Our task was to create a system that could easily be disassembled, transported, and reassembled for shows in other locations. Individual towers were designed so that they could stand alone or to be assembled in groupings of two, three or four. Fabric-wrapped panels clip in from behind, allowing for displays to be easily changed. 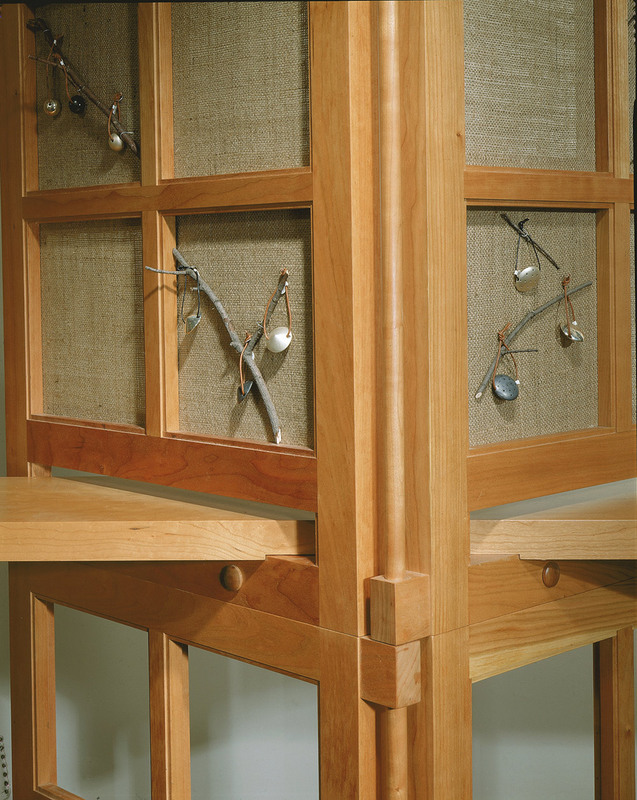 American black cherry was chosen as the material for the tower framework because of its warmth and fairly quiet grain pattern, which complements the characteristics of the jewelry.